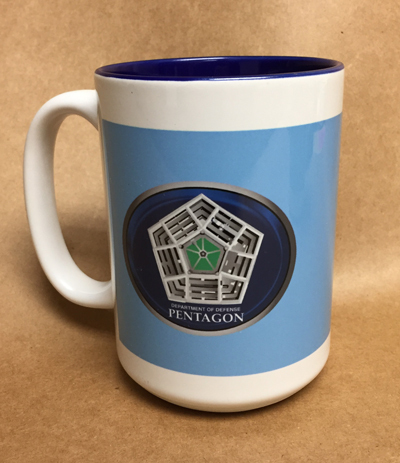 Enjoy your favorite hot drink with Pentagon panache. This glossy two-tone mug is made of smooth molded ceramic composite and lined with brilliant cobalt blue. 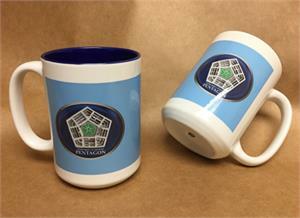 Handsome, durable and large enough to hold up to 15 oz. of tea or coffee -- or whatever else you like. 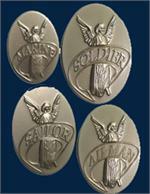 Comes with an extra-large handle to provide a secure, comfortable grip without scalding fingers.